​​CROSSLAKE, NISSWA, PEQUOT AND MERRIFIELD. 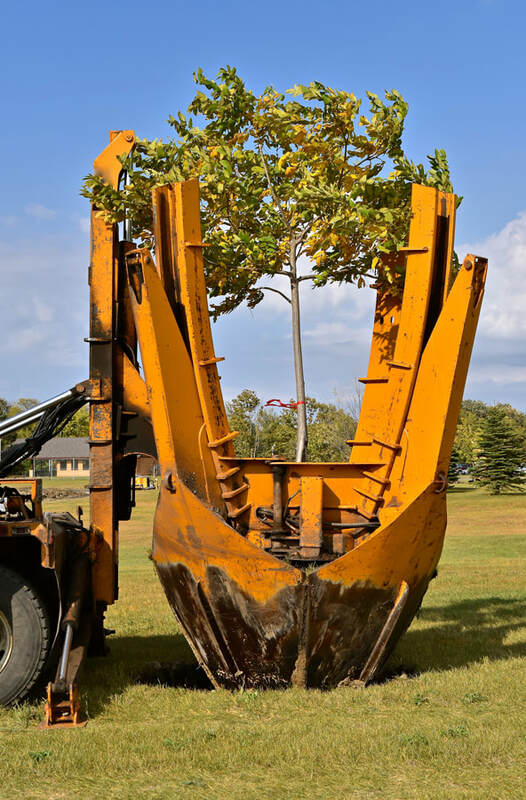 Our transplanting service provides an eco-friendly method of saving existing trees while providing the property owner a safe way to relocate the trees.​ The mounted spade, jaws, and bucket are part of a tree removal machine which removes and transplant young trees with their root system. Our mechanical tree transplanters allow us to move trees spring, summer and fall. We also offer container stock and ball and burlap if the job requires small trees or if the planting site is limited for space for our spade truck. We work with tree farms all over the Brainerd Lakes Area to ensure fast service all while keeping our prices low. Our licensed and insured experts are here to offer advice on which tree will suit your home. See TREE SALES. Not only can we plant trees up to sixteen feet, but we also provide great transplanting tips and AFTERCARE so your property looks great. At Brainerd Tree Moving & Sales we offer ​fast and reliable tree transplanting. Learn more about our company. Tree Transplanting and Sales for the Brainerd lakes area. ©2019 Brainerd Tree Moving & Sales LLC.